The detail of the feature is awesome in this photo. I really like it. The colors are great too, I just wish I could see more green. Another angle to consider would be moving off-center -- so the circle area was only showing by 50% which would allow you to capture more green to the right or left. great texture idea and execution. you rendered the colors very snappily and the right amt of sharpen. i wonder what this would look like rotated clockwise about 5 degrees? Nice enough for a wallpaper. Nice colors, but I like to see depth and something to "pull me into" the picture. 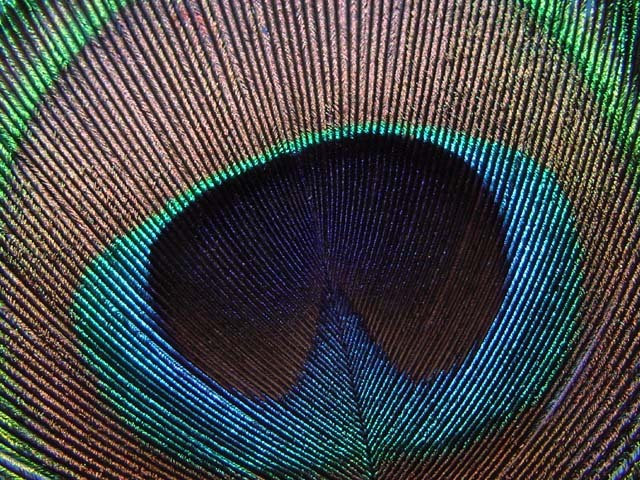 nice macro of the peacock feather! Really cool photo!!! almost looks like a rug or is it? doesn't matter. I very much like this. I like the slightly off-centeredness and the lines and colors and focus. Great work! definitely meets the challenge...nice photo too. I don't see anything wrong with it. Nice. Sharp with great color. Well done. Beautiful I've never seen it that close before! Nice macro shot. I've seen a similar shot before, but I think that this one is notably better. Good work. VERY nice! This is definitely one of my favorites. Really nice colours, with a great texture going on aswell. Very nice. Really hard to choose this week, but thought this was one of nicest. Proudly hosted by Sargasso Networks. Current Server Time: 04/23/2019 08:22:27 PM EDT.